When it comes to identifying teams and fans, few things are more iconic than a baseball jersey. They're a timeless piece of clothing that combines fashion and team allegiances. But when it comes to buying an MLB jersey, there are a lot of options. These choices can be confusing and, for some, overwhelming. What's the difference between an authentic jersey and a replica? Why do some jerseys cost less than $50 while others are cost hundreds? How can you spot a fake? These are some of the questions you should be asking when you consider the jersey you're going to buy. 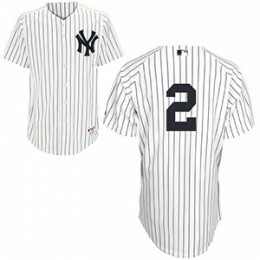 Below we highlight some of the most popular types of baseball jerseys and what to look for. If you're shopping for a specific team, we've included some handy links at the end of the article. 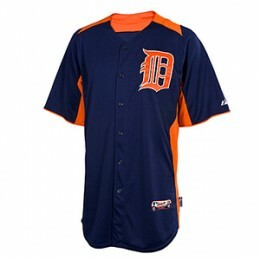 Presently, authentic baseball jerseys are made by Majestic in the USA. These are just like the ones players wear in MLB games. 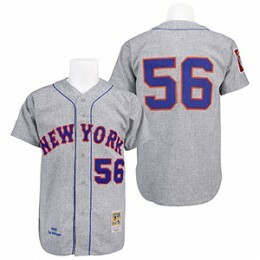 Made of polyester double-knit material, authentic jerseys are more durable than replica jerseys. Patches, locker tags and lettering are all sewn directly onto the jersey. Unlike replica jerseys, they also come with sleeve patches and other team-specific patches. A quick way to identify an authentic jersey versus a replica can be found on the back. Authentic jerseys have an MLB logo sewn on the top-center, just below the neck line. The latest MLB jerseys use something called Cool Base technology, which is meant to help keep players cool in the summer. It makes the material lighter and offers venting under the armpits. Authentic MLB jerseys have a Cool Base tag. Knockoff counterfeit jerseys often do not have all the tags. Knockoffs are not licensed by MLB. They can be found much cheaper but aren't the real thing. It's similar to buying a faux Gucci bag or a fake Rolex -- they have some of the same features but not the prestige. 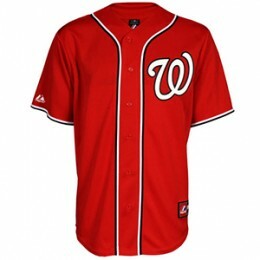 Authentic MLB jerseys generally cost $175 and up. Sometimes deals can be found when a player is traded. If you see a current player advertised for significantly less, it could be a sign that it's fake. They are made of less durable fabric. Patches and letters are ironed on instead of sewn on. They don't have the MLB logo on the back like authentic jerseys do. Replica baseball jerseys still let fans show their allegiance. Unless you look closely, there's really not that much difference. However, replica jerseys cost about half the price. Batting practice jerseys are worn while players practice their hitting. They're much plainer than authentic game jerseys, but they're still fully licensed. Made of lightweight polyester, they have a team logo on the front, the latest versions have Cool Base technology like authentic jerseys do. Throwback baseball jerseys are designed to look like the ones players used to wear. Covering the history of the game, Mitchell & Ness is the exclusive manufacturer of vintage-style jerseys. Each is designed to the exact specifications of the original jerseys, including patches. They're noted with a Cooperstown Collection tag sewn on to the front. Throwback jerseys have timeless appeal as they often highlight past greats and fan favorites. Lack of proper tags. All authentic jerseys have a tag sewn on the front, normally at the bottom. If there's no tag, it's definitely fake. The seller is saying the jersey is factory sealed. MLB does not wrap individual jerseys. If the images provided aren't very good, ask for higher resolution shots. If the seller doesn't provide them or dances around the fact, it could mean that they're hiding something. It may sound basic, but sometimes fakes can have major giveaways like spelling mistakes or player names for a team that only uses numbers. Sometimes people choose to buy bootleg jerseys because of the lower prices. The important thing is that you're aware of exactly what you're buying. Click on the team names to shop for jerseys on eBay. We just traveled to Chigago to see the cubs over the weekend. While there, we decided we would get jerseys, since they would be from Wrigley. We were surprised that the team logo patch and letters/numbers were a plastic/rubber material (tackle twill???) And not stitched into the jersey or a sewn on stiched patch. They just felt cheap and it was like walking into the kitchen and catching your dad putting on a Santa suit. We saw the authentic, autographed, “stitched” jerseys for $250 and up. Thought about buying one of those, but the way players move around now, who’s to say your high dollar jersey would be relevant in a season or two. Look at Arietta, Chapman and Grim for the cubs. The other thing we noticed was the women’s jerseys were pretty crappy. A big disappointment for the girlfriend. Thanks again for the great write up.